Where is openvpn from network-manager? 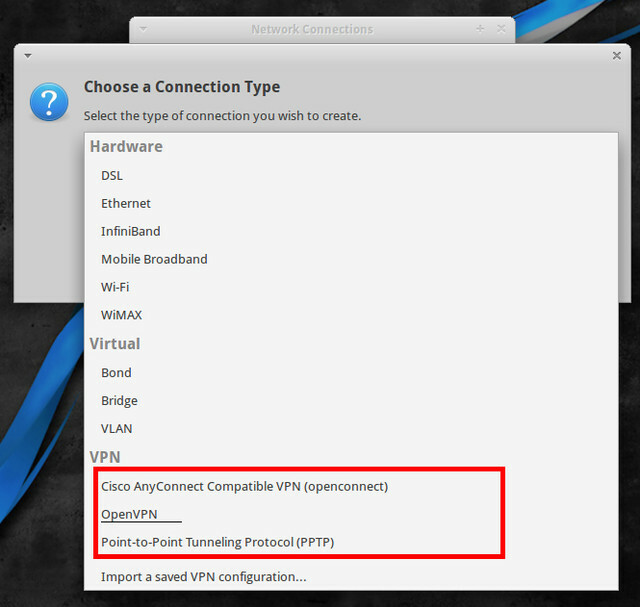 And how do I import an ovpn configuration file or create a new openvpn connection? again and again, recently everybody just here to post the first issue they are having and expect the pasta to be served at instance. it is the basic requirement of this forum which I bet you never read, that you need to do some homework and come with a problem if you really hit something hard to solve. Thank you for your useless advice! Openvpn is already integrated into the image! You may not have read my question carefully. I asked about network-manager. In versions prior to 4.7 inclusive have been able to use network-manager to create client VPN connections. It was also possible to import saved VPN connection settings. 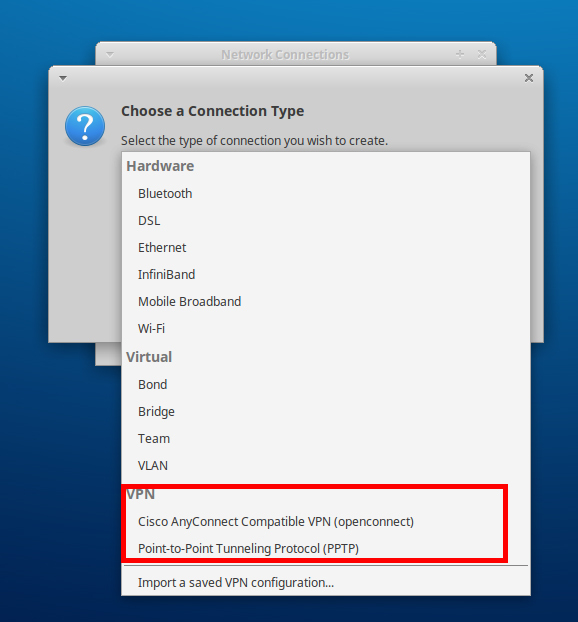 In version 5.1, these features remain for PPTP and cisco anyconnect only. Installing the network-manager-openvpn-gnome and network-manager-openvpn packages does not yield results. But All required packages are installed! 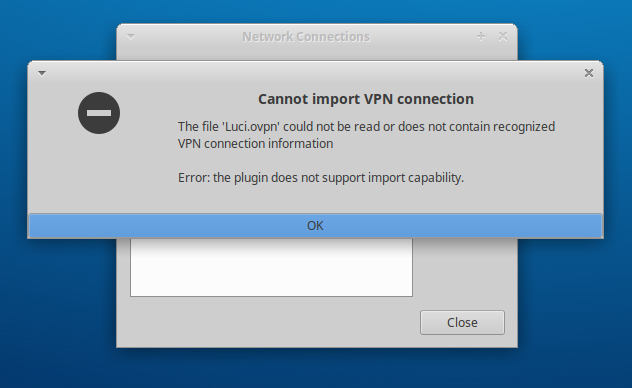 But on Ubuntu 16.04 after installing network-manager-openvpn and network-manager-openvpn-gnome everything works fine.